The senator from Oklahoma said the Senate should take up the plan and debate it. Sen. James Lankford, R-Okla., said Sunday on "This Week" that President Donald Trump's latest proposal to end the partial government shutdown is a "reasonable compromise" that should be taken up by Congress. "What I encouraged the White House to do and multiple others encouraged the White House to do is put out a proposal," said Lankford, who serves on the Senate Homeland Security and Governmental Affairs Committee. "The vote this week is not to pass the bill. It's to open up and say, 'can we debate this? Can we amend it? Can we make changes?'" On Saturday, Trump announced his new proposal to end the government shutdown in a speech from the White House. The president is still insisting on $5.7 billion for a "physical barrier" along the Southern border. 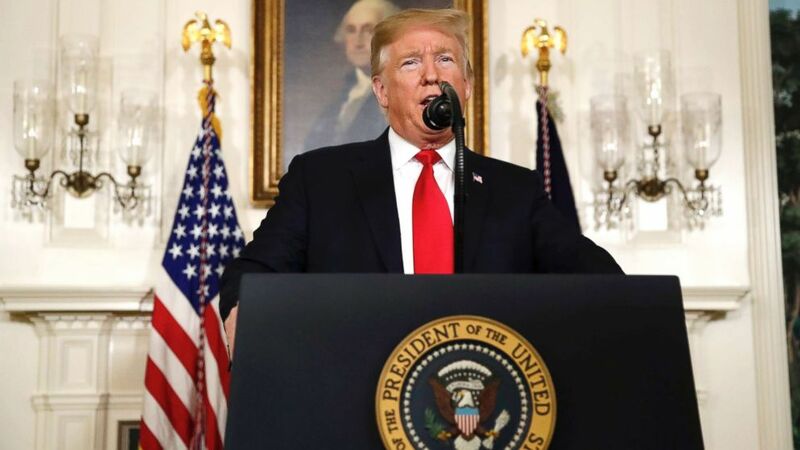 Additionally, Trump said his plan includes "$800 million in urgent humanitarian aid, $805 million for drug detection technology to help secure our ports of entry, an additional 2,750 border agents and law enforcement professionals [and] 75 new immigration judge teams." Trump said in his speech that Senate Majority Leader Mitch McConnell, R-Ky., would bring the proposal to a vote on the Senate floor this week. McConnell said in a statement that the president's offer "strikes a fair compromise" to reopen the government. (Alex Brandon/AP) President Donald Trump speaks about the partial government shutdown, immigration and border security at the White House, Jan. 19, 2019. But Democrats were quick to reject the president’s proposal. House Speaker Nancy Pelosi said in a statement before the speech that the president's plan to offer temporary extensions for Deferred Action for Childhood Arrivals and Temporary Protected Status recipients is a "non-starter" and called on the president to reopen the government so negotiations could continue. After the speech, Senate Minority Leader Chuck Schumer, D-N.Y., said "It was the President who single-handedly took away DACA and TPS protections in the first place -- offering some protections back in exchange for the wall is not a compromise but more hostage taking." ( Tom Williams/CQ Roll Cal via Getty Images) Sen. James Lankford talks with reporters after the Senate Policy luncheons in the Capitol in Washington, July 17, 2018. The government shutdown, entering its fifth week, is now threatening the second round of paychecks for over 800,000 federal workers this year. ABC News reported that some federal workers have had to go to food banks as thousands of dollars in wages per worker are missed. 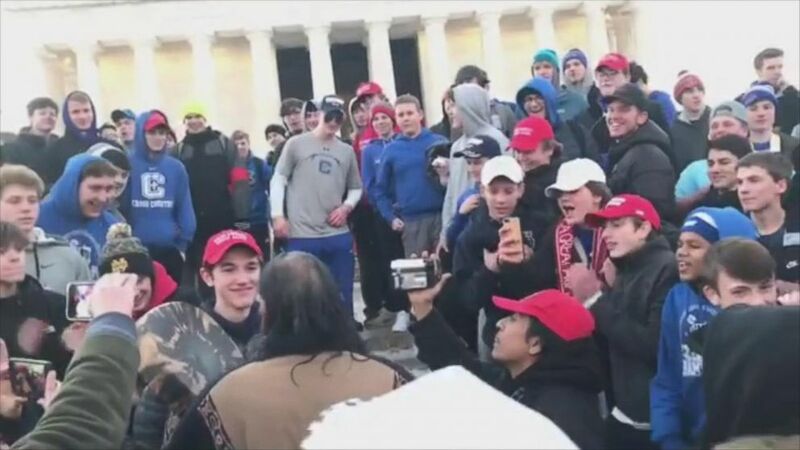 (@earthchores via Storyful ) A diocese in Kentucky apologized Saturday, Jan. 19, 2019, after videos emerged showing students mocking Native Americans outside the Lincoln Memorial after a rally in Washington. Separately, Raddatz asked Lankford, whose state of Oklahoma is home to the third largest number of Native American tribes in the nation, about viral videos from Friday in which students wearing “Make America Great Again” hats taunted a group of Native Americans in Washington. In the videos, the high school students from Covington Catholic High School, who were visiting the nation's capital for the March for Life, mocked and chanted over the group, which included Native American leader and Vietnam veteran Nathan Phillips. 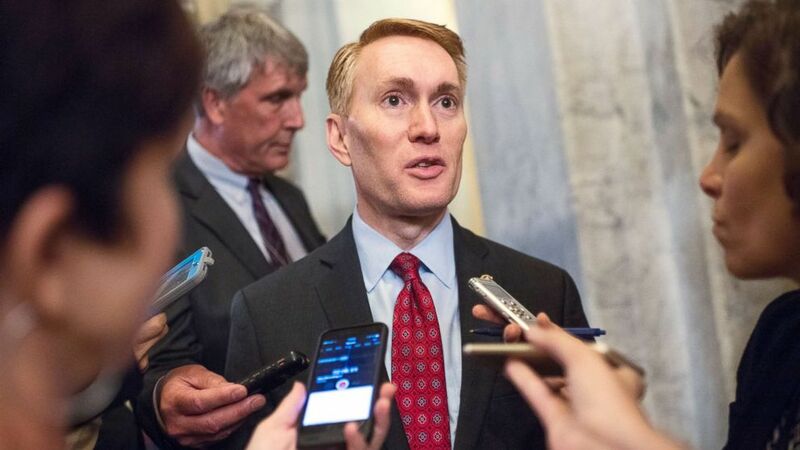 Lankford at first said that the video didn’t appear to show the teens “taunting” Phillips, but when pressed by Raddatz, he said that they were “highly disrespectful not only to a Native American gentleman, but any older gentleman.” He also noted that he has seen “a lot worse than that” at other rallies and events.